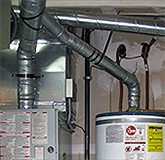 Rheem hybrid heat pump water heaters work much like a refrigerator in reverse. The heat pump extracts the heat from warm air, intensifies the heat with a compressor, delivers the heat to the water, and exhausts the cooler air. 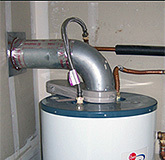 Because it uses the warm ambient air temperature to do most of the work, it is a very efficient way to heat water. Available in 50, 65 or 80 gallons. 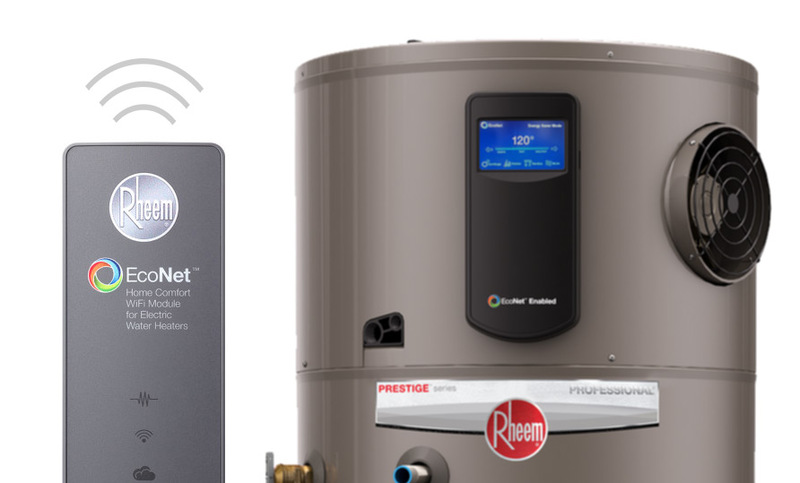 Installing a Rheem 50-, 65- or 80-gallon water heater is one of the most cost-effective decisions you can make to dramatically increase energy efficiency in your home. Its advanced heat pump technology uses less energy and saves hundreds annually. The Rheem Hybrid Electric Water Heater is also ENERGY STAR® rated and may qualify you for federal tax credits and local utility rebates. 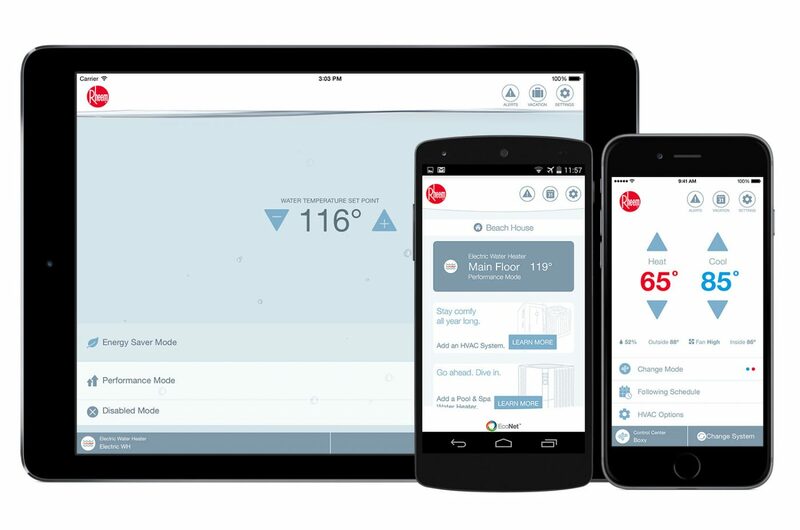 EcoNet™ WiFi-connected technology and free mobile app gives users control over water systems, allowing for customizable temperature, vacation settings, energy savings and system monitoring at home or away. 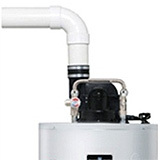 How can a heat pump water heater be efficient, isn’t it an electric water heater? Yes, it is powered by electricity, but it’s very different from an electric tank water heater. The tank water heater has an electric heating element that actually heats the water, so electricity both powers the unit and heats the water. The heat pump water heater uses electricity to power the unit, but the outside air as the primary fuel for actually heating the water, and you can’t beat free air as a fuel source. Just as the air source heat pump is an amazingly efficient source of heating and cooling, the hybrid heat pump water heater is a great source of efficient hot water. 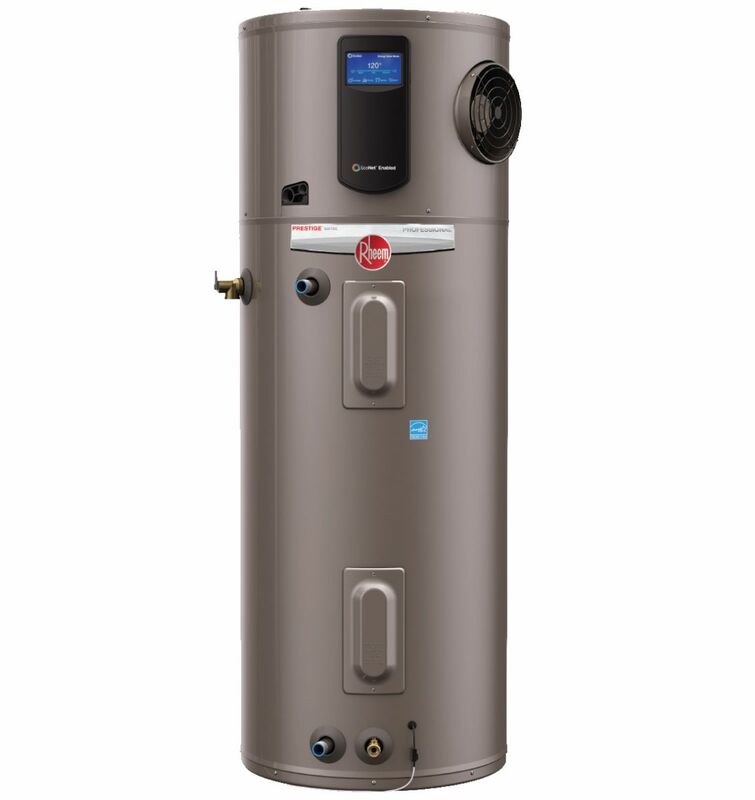 The energy efficiency of heat pump water heaters are well known, and most Seattle area electric utilities will provide you with a hefty rebate for installing one vs a standard tank electric water heater.